From Park City RV Resort, Park City, Utah Pam and Ernie arrived Park City ahead of us, on May 10th, while we were still in Grand Junction, Colorado. 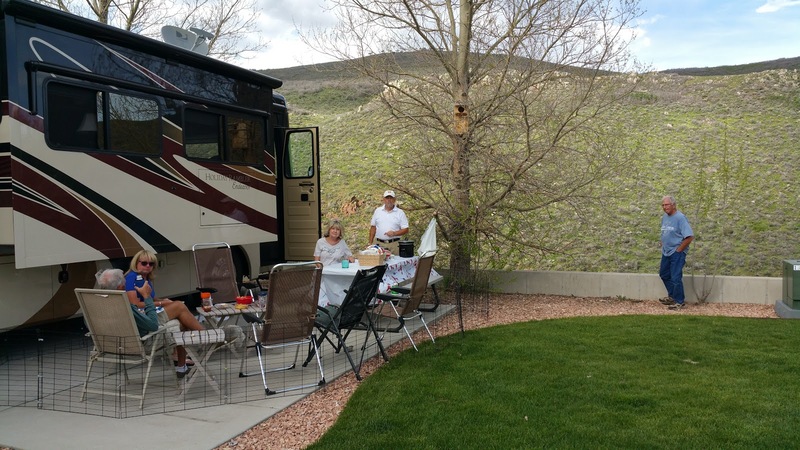 Charlie and Joyce followed within another day or so when they finished their visit to Capitol Reef National Park. This is our final stop as a traveling group. The day of our arrival, the day was warm and sunny, but once again, we seem to be a step ahead of bad weather. Most of our week in Park City was just downright cold and/or rainy. Drat! One of our few afternoons to be outside. Our campsites all had nice views, overlooking a stream and mountainside. Park City is a special place and one could feel the urge to ski by just being here. Not me though. 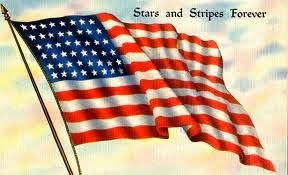 I am a Southerner want no part of snow chains on my tires or winter sports injuries. However, on some of the rare warm days, we enjoyed browsing downtown Park City and feeling the youthful enthusiasm of those who dare to embrace winter activities. 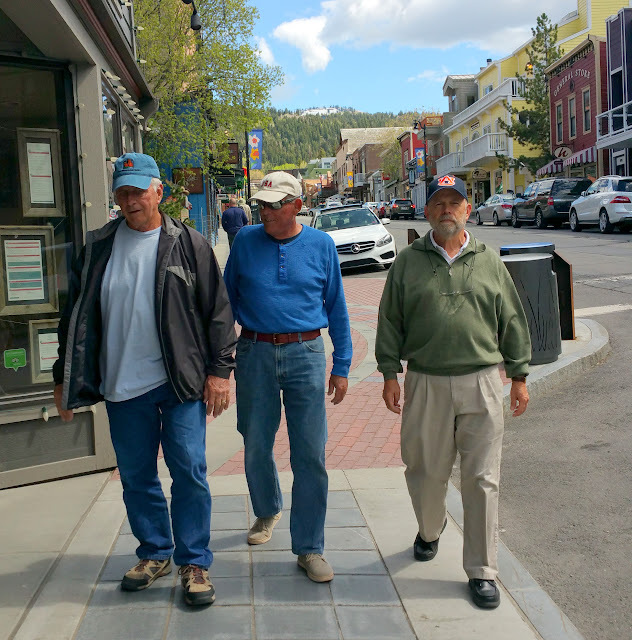 Joyce, Pam and I encountered these three handsome senior fellows in downtown Park City. Charlie, Ernie and the Wayner. 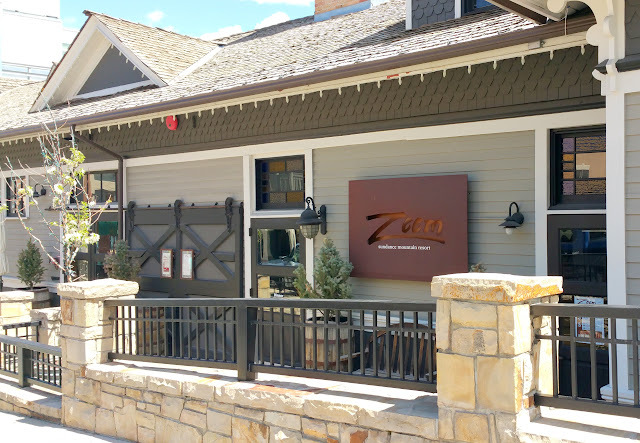 Zoom is restaurant is associated with Robert Redford. We hoped to eat here (just to say we did) but to our surprise, found Zoom closed for repairs... indefinitely. 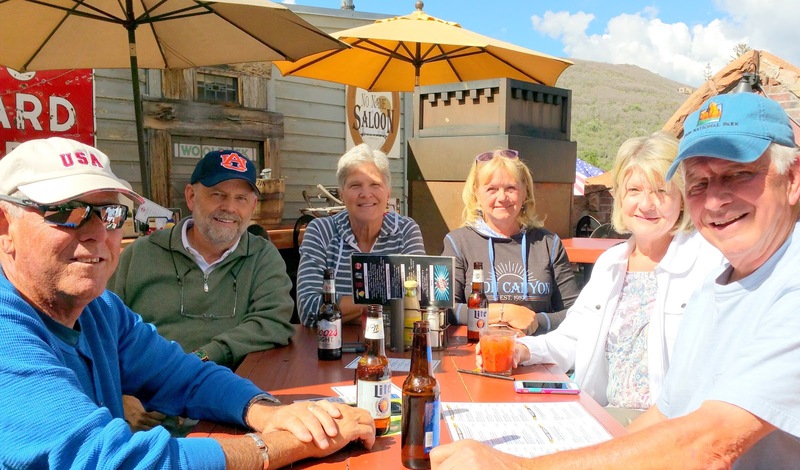 We stopped in for libation at the No Name Saloon & Grill in downtown Park City. Left to right is Ernie, Wayne, me, Pam, Joyce and Chuckles. 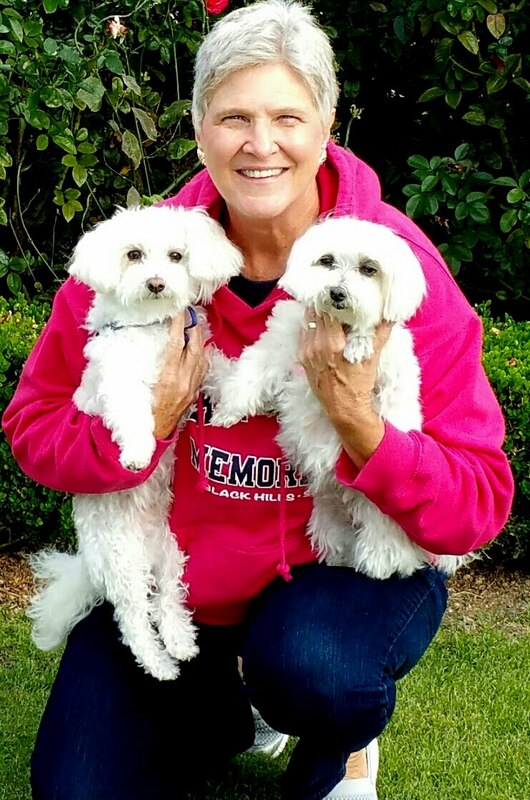 As often happens, Pam and Ernie ran into someone from their hometown. Pam and Ernie have visited Park City in years past. Charlie too -- on a business trip. They knew about the Olympic Park training facility here. 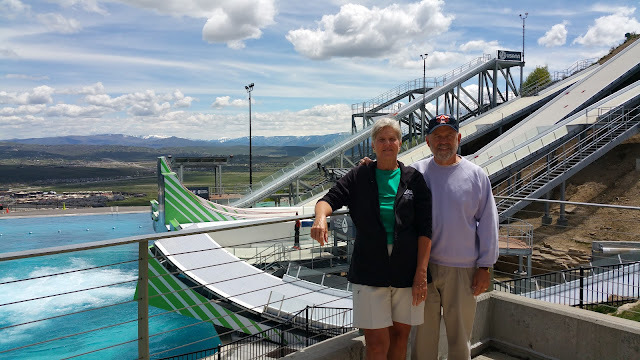 They said watching summer ski jump practice might be a fun, once-in-a-lifetime experience. So we made a date and watched the strange sight of snow skiers flying down the high slopes into a swimming pool. Frankly, I don't know what keeps them from killing themselves, but they didn't and the practice was a memorable thing for me. Hard to see but there is a skier on the slope between my right elbow and shoulder. Despite our best efforts, getting the "perfect" photo was near impossible. View from alongside one of the lower slopes. Our ski-jump viewing area was the middle patio of the building in the picture. Air injectors are turned on just before the skiers hit the water. The bubbles are turned off between skiers. 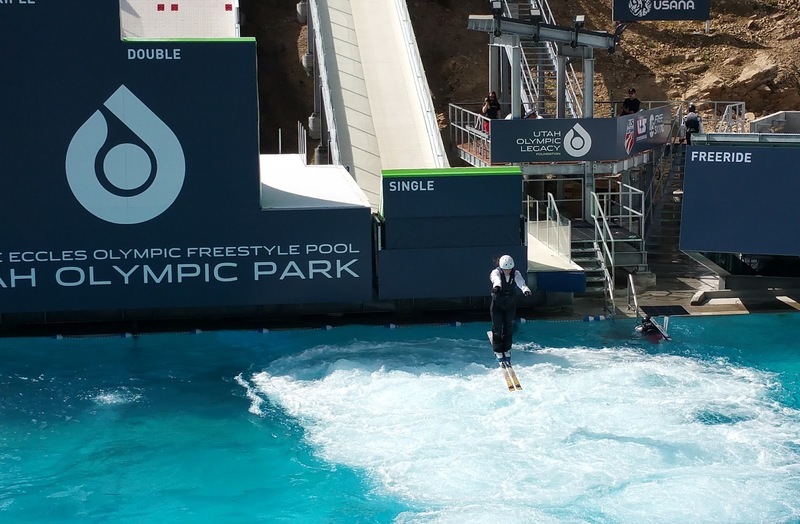 Here you can see the bubbles in the pool as the skier hits the water. This facility was built for the 2002 Winter Olympic games and now offers a variety of tours and visitor activities. 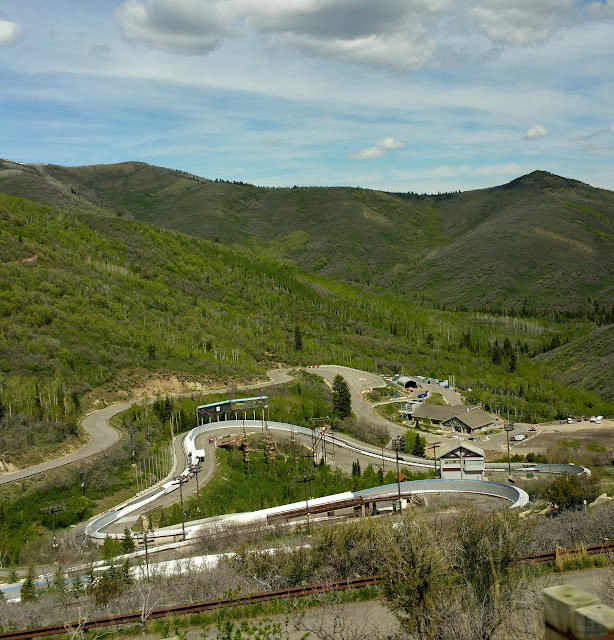 The park hosted bobsled, skeleton, luge, Nordic ski jump and Nordic combined events. Today the venue is an active Official U.S. Olympic Training site providing a facilities for Olympic and development level athletes. A very reasonably price shuttle tour of the property was next on our agenda. I think it was $5 or $10 each, for seniors. 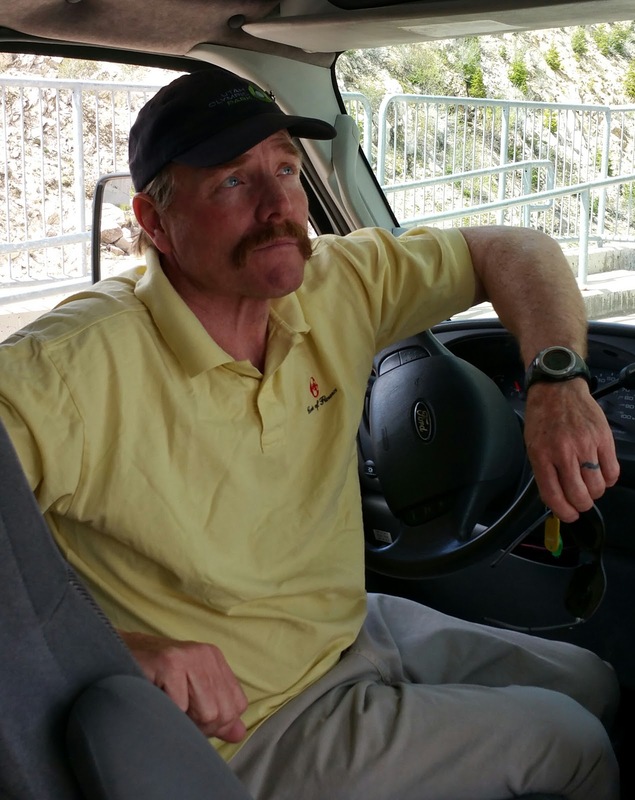 Our shuttle driver was a former competitor who works here while he awaits his next gig. Too old to compete now, he is a sports announcer who has worked most Winter Olympics since 2002. I forgot his name but he told me he expects to be called any moment for the next job. As interesting as the shuttle driver was to talk to, the tour guide was equally as interesting visually. 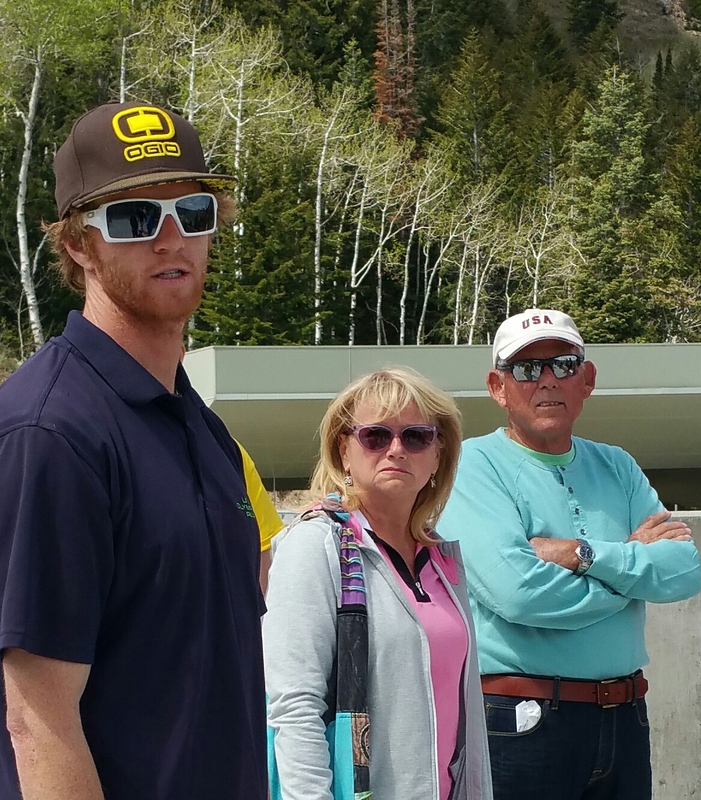 The tall, lanky self-described "ski bum" considers himself an old man among skiers. His knowledge of the property and the sports was impressive. Pam and Ernie listen intently to some of many winter sports facts as explained by our guide, whose name I have forgotten. A few facts about the 2002 Winter Olympics: The area formed a ring of five connecting cities, with metro Salt Lake serving as the center ring. These northern most city was Ogden -- Provo and Orem were in the south. Park City and Heber were the easterly rings while Kearns and West Valley City served as the westernmost rings. The Olympic area was 70 miles long and 50 miles wide. 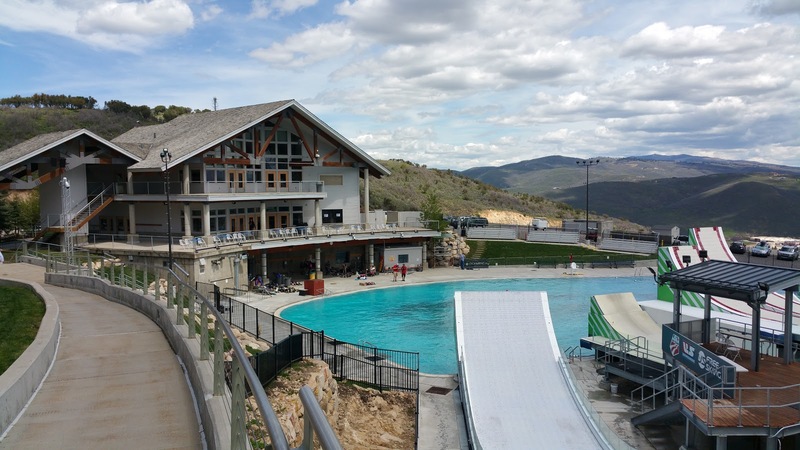 Olympic Village was on the campus of the University of Utah in Salt Lake City. 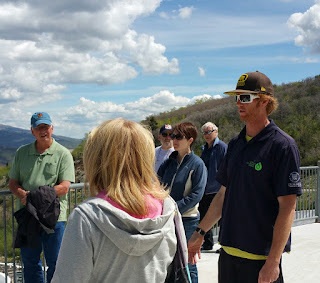 Our guide narrated as the shuttle took us up the mountain side to Bobsled Plaza where the bobsled, luge and skeleton events begin. 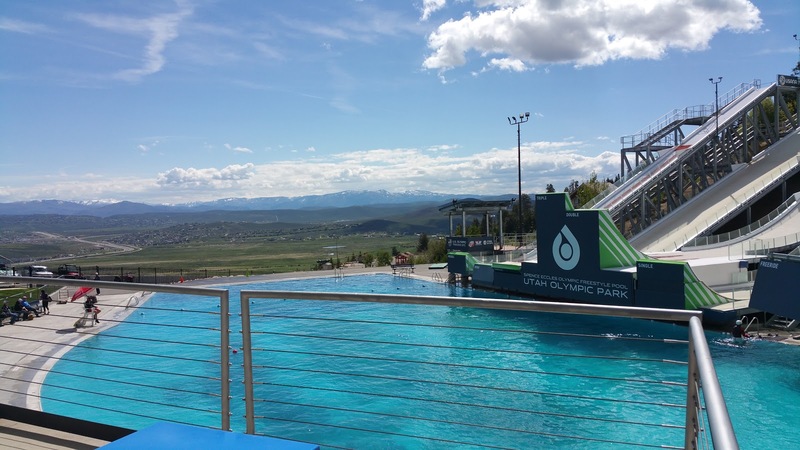 Ongoing activities for summer visitors on the Olympic property began the week we were there. 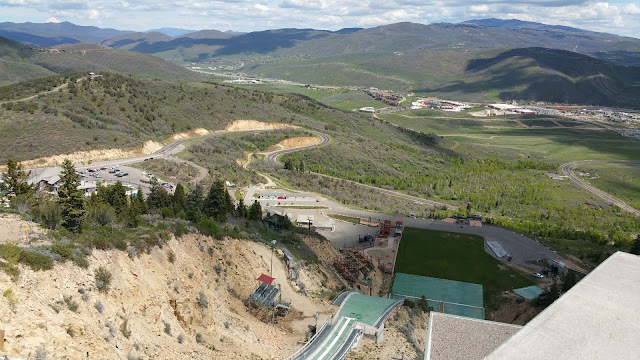 Alpine slide, biking and hiking trails, a mountain challenge and adventure course are available to the public. During Charlie's first visit here, he took one of the bobsled ride and said it was exciting but rough. A zipline is on the property but was not functioning when we were there. 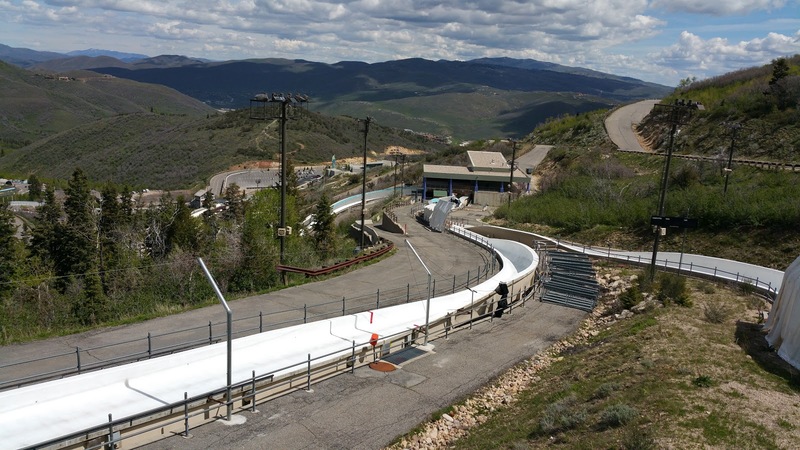 Men's luge start is the white ramp to the left. Women's luge start is to the right. 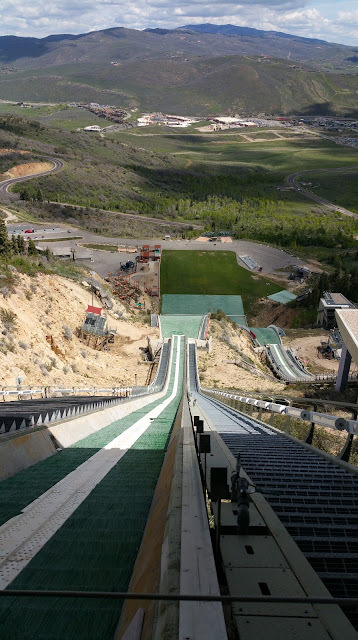 Looking out over some lower, smaller ski jumps and the beautiful Utah countryside. In the picture above, the grassy area to the right, near the road, had been an Olympic event parking area in the winter of 2002. It was taken up after the games. Our time together was winding down during the week at Park City. 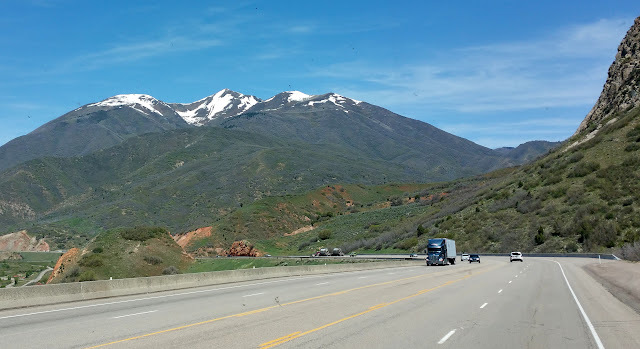 Wayne and I will move along to Brigham City, Utah, where the lower elevation should translate into warmer days. The two other couples will stay on in Park City for a few weeks before they go on to the Grand Tetons and Yellowstone. We did get one more short afternoon together at Brigham City, where we did, of course, go out to eat. As so often happens, we found a terrific restaurant at Maddox Ranch House. Oh... so good. Ozzie Goes Home... Kind Of.